The best way to spend summer vacation is playing tabletop RPGs with your friends, obviously. Whether you’re into swords and wizards or prefer technomancers and secret agents, here are eight awesome RPG campaigns to occupy those hazy afternoons and summer nights. The eight role-playing systems here run the gamut, from old-school simulationist dice-fests to more free-form story games. For each one I’ve searched for an adventure suite or campaign that will take about four to six weeks to complete, perfect for a tabletop summer fling. The life cycle of Shadowrun’s 4th Edition is winding down, but there’s still plenty of fun to be had before the 5th edition is released. With the admittedly dense rules framework there’s enormous flexibility for creative solutions to the problems one tends to encounter in a cyberpunk world in which Earth’s ancient magic has awakened. Hack it, shoot it, blow it up, steal it, enspell it, then upload the video and become cyberfamous. Or use stealth and keep a lower profile. Your call. Shadowrun Missions is a set of adventures that can be run in a single evening, and each one costs $4. They’re intended to be run in a single session at a game convention, but they work perfectly well for your weekly game night. The classic Chaosium RPG, where your investigators are quite likely to go insane while trying to stop the rising tide of cosmic horror. The Call of Cthulhu system is not overly complex, so you can roll up a few characters and start investigating cultists and getting eaten my ghouls on short notice. 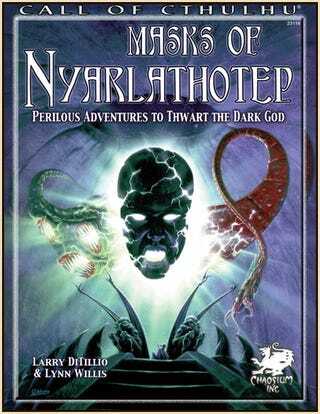 But for a truly epic summer, check out the legendary Masks of Nyarlathotep campaign, a series of adventures that takes investigators around the world as they uncover an increasingly bizarre plot of terrifying proportions. It’s often touted as one of the greatest campaigns ever written. It might be a little long to fit into the summer months, but if you finish it up just as that first chill of autumn touches the wind and the nights start growing longer, maybe that’s ok.
Pathfinder is my sword & sorcery RPG of choice these days. The rules can be a bit daunting for new players, but if you have experience with 3rd Edition D&D, Pathfinder is very similar (to the point of being mostly compatible). For a concise summer campaign, you should check out Pathfinder Society, a series of adventures designed to be run at cons and game stores, with the results tying in to a broader story. You can purchase and play them with your own group, of course ($4 each) — each one should fit into a single gaming session. Season five doesn’t start until mid-August, but season four offers a bunch of scenarios for any range of character levels you prefer. If you want a more open-ended campaign, Razor Coast is a sandbox campaign setting centered on a group of dangerous islands. There’s a broad story you can follow, but it offers a ton of room for the gamemaster and players to explore and get involved in all the treasure hunting, swashbuckling excitement of the region. This indie RPG has turned a lot of heads. The post-apocalyptic setting is a playground for the players and gamemaster to create weird stories and relationships. Instead of following a predetermined plot, the idea behind Apocalypse World is to ask questions, then play the game and find out the answers. The GM is as along for the ride as the players. Apocalypse World has become so popular that a number of system hacks exporting it to different genres and settings exist. One of the most interesting is called Monsterhearts, which takes AW’s core ideas about open-ended role-playing and wraps them around the world of supernatural monsters and romance. Vampire Diaries, Buffy the Vampire Slayer and Twilight are among the direct inspirations, which makes for fertile ground for growing melodramatic tales of horror, loss, lust and, again, horror. 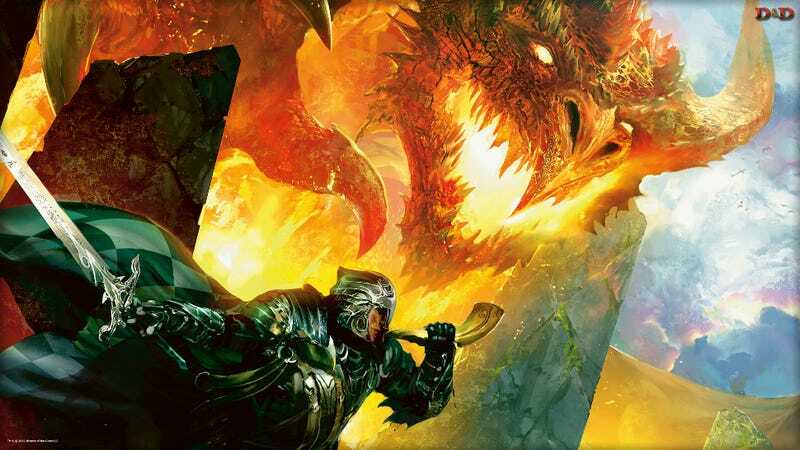 There’s a new edition of Dungeons & Dragons in development, but you don’t have to wait another year to try it out. The system is in an open beta test, so you can download the rules for free and run some adventures yourself. In its current iteration, D&D Next harkens back to the classic editions of the past while filing away some rough edges and incorporating some important advances in RPG design. D&D offers an official set of summer adventures, too, through their in-store Encounters program. These events are supposed to be run at a sanctione game store, so you can’t just buy the adventures to run at home, but it’s pretty easy to find a store nearby already running it. While Encounters uses Fourth Edition rules, Wizards of the Coast offers a conversion guide so they can be run using D&D Next. A new version of the totally bonkers post-apocalyptic Gamma World RPG came out a few years ago. It didn’t sell well, so only two expansions were made, but I think you should dispense with official adventures entirely. Gamma World is made to be twisted and weird and hilarious. Make some semi-random characters, then head out into the radioactive wastes and see you find. Take turns GMing each week. See who can create the most bizarre encounters. Creating characters is fast and fun, so maybe end each session with a total party kill, the weirder the better. This RPG about secret agents battling shadowy vampire conspiracies puts a heavy emphasis on investigation, though the white knuckle action can be very intense too. There’s one official adventure for Night’s Black Agents, The Zalozhniy Quartet. It will take you about a month to complete, carrying the players from some gun smugglers who are worse than they seem to a safety deposit box in a Swiss bank to the looming horror of a vampire superweapon. Thanks to Manda Collis of Charisma Bonus for helping with this list!